Join us for a late night Burger snack attack! 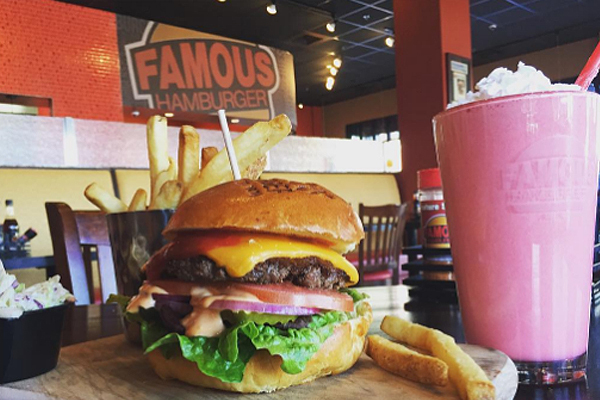 Famous Hamburger is inviting bloggers to join them for a restaurant review during Ramadan. Most Dearborn restaurants are open until around 2:00 am this month in observance for Ramadan, so the review will start at 9:30 pm. We’re looking for foodies to come enjoy dinner and shakes and review the Halal friendly restaurant. Does this sound good to you? Fill out the form below for the event! Bloggers will be expected to write a blog post within one week of the event, as well as share 3 social shares during the event. A follow up form will be sent via email to collect all of the information after the event.